The Boys & Girls Club of Greater Salem engages a Formula for Impact that ensures that success is within reach of every young person who walks through our doors. The goal is for all members to be promoted from one grade to the next, and on track to graduate from high school, with a plan for the future, demonstrating good character and citizenship, and living a healthy lifestyle. Founded in 1869 as the Salem Fraternity Boys Club, ours is the oldest Boys & Girls Club in Massachusetts and the second oldest in the country. Always a "safe place for kids," the Club has evolved into a respected after-school partner with the School Department. This evolution mirrors that of Boys & Girls Clubs of America as youth leaders understand that for our members to have a good life, they need a good education. Therefore, our programming is designed to build confidence, resilience, positive decision-making skills and a joy for learning. In order to do this effectively, we are committed to always considering what is best for our kids, first and foremost. We work hard to ensure that the Club is safe, affordable, inclusive and respectful of diversity, and that we always set high expectations for our kids. 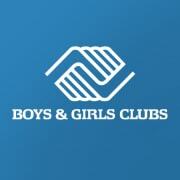 Would you recommend Boys and Girls Club of Greater Salem?